CNBLUE will release their first single in Japan entitled “In My Head” on October 19 to mark their official major debut in Japanese mainstream music industry. The band have been active in Japan as an indie band and Warner Music Japan has finally reached an agreement with CNBLUE to debut under their label. “In My Head” will be their first official single under the well known label, Warner Music. 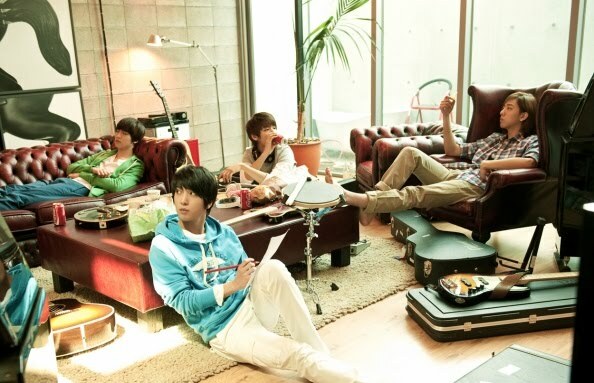 As an indie band in Japan, CNBLUE has gained a lot of popularity and has done very well in the Indie Oricon Chart, by reaching #1 for numerous times. On September 1, the band released their last album as indie band “392” and it has reached #3 in the Indie Oricon Chart. Meanwhile, CNBLUE will be holding their concert “BLUESTORM” on September 17 and 18 at Seoul Olympic Hall followed by their last indie concert at Yokohama Arena, Japan on September 25. Thanks @blueclover0 for the tips!